At some point, on some industrial painting job, you’ll need to turn off your iPad. Whether it’s a persnickety flight attendant while flying out to a painting job-site or it’s you just taking five on a large industrial coating project, in just a push of a button and a swipe of the finger, you’ll have your iPad resting its weary touchscreen in no time. 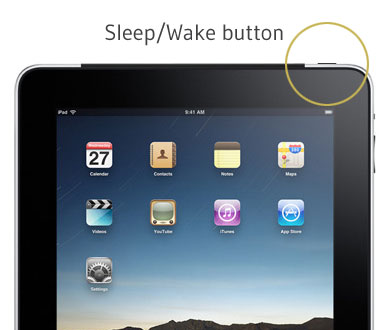 To turn off your iPad, first press and hold the Sleep/Wake button on the top-right corner of your iPad. After a few seconds, the red “slide to power off” slider will appear. Simply swipe it to the right and your iPad will power off. Note: It’s pretty easy to find yourself with the red slider by accident. A strong grip while viewing in landscape mode, and you’re a slide away from an accidental shut down. Just tap “Cancel” to avoid any unwanted delays. Turning off your iPad may take a little longer than flipping a light switch. But a few extra measures to avoid unintentionally powering off is well worth it. For other tips and tricks, click here.